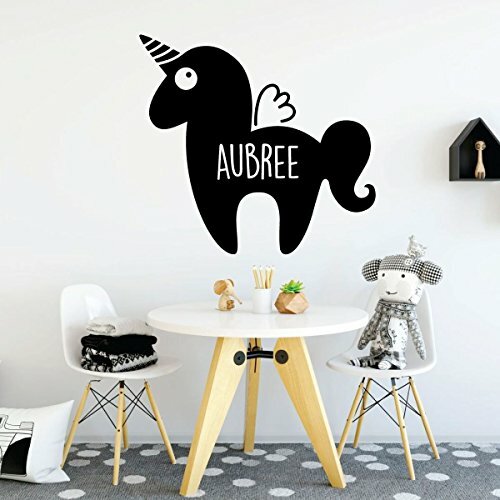 This personalized unicorn decal is so cute and fluffy! With is full and rounded body, twirled horn, large eye, and sweet wings details, this pretty unicorn looks like a friendly stuffed animal. 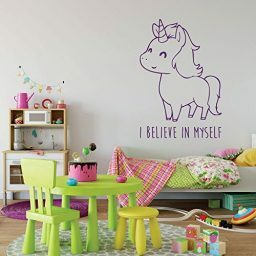 The child in your life is sure to want to give it a big squish! Your unicorn design is filled with fun and imagination, and it’s perfect for a child. 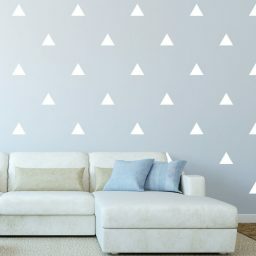 Pick your favorite color and a size that works well for you space, and then add a name for a truly customized vinyl wall design that will add magic to any room you put it! This is an adorable, chubby unicorn stuffed full of fun! 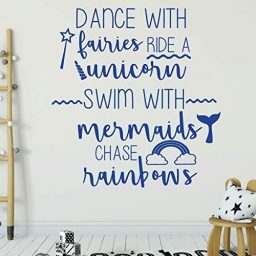 This vinyl wall design is sure to please a unicorn-loving little girl with its cartoon-like appearance. 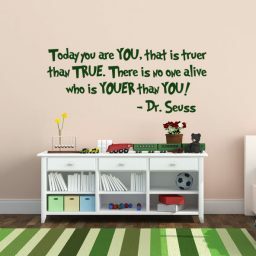 It reminds us of a stuffed animal! 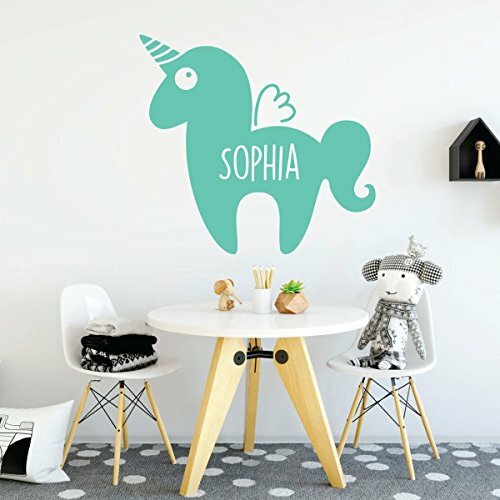 It’s dainty wings, twisted horn, and curly tail are the perfect complement to the round body. 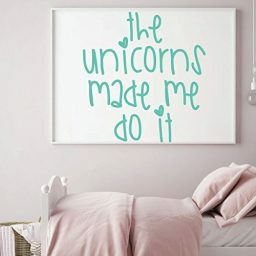 It’s just so huggable! 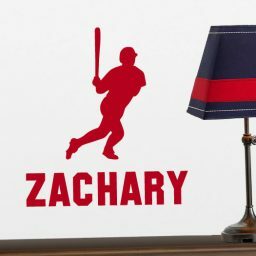 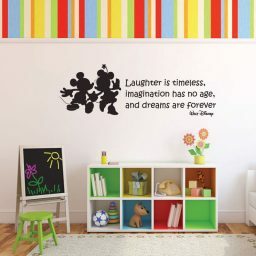 This decal would look great in a child’s room, a playroom, or a nursery. 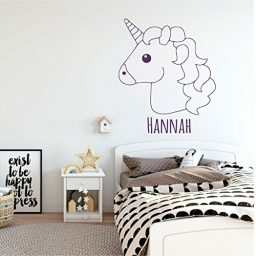 It’s so fun to add a name to the image to make it truly unique for the unicorn-loving person in your life! When you add this decoration to a room, you are sure to bring in some magic! 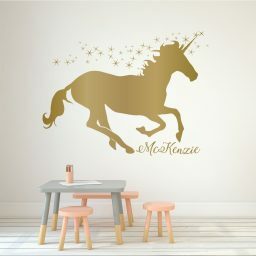 Be sure to check out all of our unicorn designs!